The Japanese love to do what programmers would call overloading their language. Words mean different things depending on context. The kanji characters they got from China usually have at least two ‘readings’, or pronunciations: the on reading (loan word close to the original Chinese pronunciation, the way we use Latin words), and the kun reading (a Japanese word close to the original Chinese meaning). In Western terms, imagine that the Romans had a special symbol for a horse. An on reading would be equine. A kun reading would be horse. Then the symbol might be paired with another one to give the meaning horse holder, and be pronounced assistant. 3. 分 is read ぶ and is pronounced bu and means one-tenth of a wari, or 72 seconds. And what, might you reasonably ask, is a wari? Well, among many other things, a wari (わり) is a sumo match, which, if you do the Wiki, you will find lasts no longer than twelve minutes, not counting the bowing and throwing of salt and stamping parts. So a tenth of a wari is 72 seconds. See what fun you can have with vocabulary? 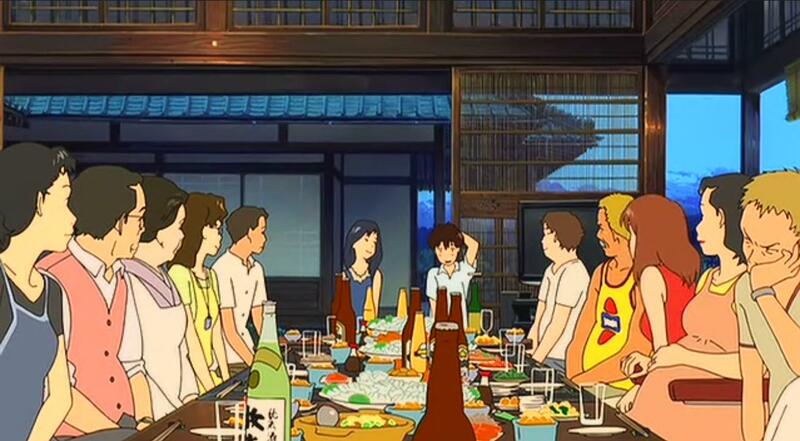 Setup: It is the summer of 2010, and Koiso Kenji (your typical anime insecure and clueless HS student, in this case also a math whiz) has been asked to accompany Shinohara Natsuki (good-looking and popular HS girl from an aristocratic family) to her great-grandmother’s 90th birthday. It’s a totally random choice — he was one of two fellow students she came across, and he won the rock/paper/scissors game with his friend. Natsuki’s hidden agenda, which forms a short story arc, quickly disposed of, is to present him to her grandmother and family as her college-student fiancée. The reason is she is afraid her great-grandmother will die soon, and wants to have her meet a fiancée before that happens. I was doing some metaheuristics on my oatmeal adventures, when it occurred to me that most of the changes I made had essentially changed the flavor of the water the stuff was cooked in. Very few additional ingredients were involved. I mean, other than jam. That being the case, a whole new world of experimentation has opened up for me. What other flavored waters can I try? …the other entries are not really changing the flavor of the fluid. What fun we will have. There was a recent article about torture on the History.net website, talking about the history, of course, of torture, and why we’re seeing more of it. One doesn’t hold websites like this to too high a standard, but this article (a) casts its net too wide, and (b) misses the point. MJ got me a book on cooking with ramen recently. The overall approach is simple: “Remember that pasta salad you made last week? Try it with ramen noodles.” The idea is that anything you can do with the pasta of any nation, you can do with ramen noodles, and they are right. Ramen Cacciatore, ramen and meatballs, sauerbratenramen — anything. Most of the recipes use just the noodles, and discard the flavor packets, which soon mount up. Sometimes, the recipe calls for a quarter-teaspoon of the flavorant, out of about a tablespoonsworth that’s in the packet. You are left with an open, half used packet. Aha! Says I. If we can use ramen in place of otherstuff, what about using oatmeal in place of ramen? The problem with using the ramen flavorpacks is that they are (a) designed for two servings (yeah, I know), and (b) they are primarily salt. Dump a whole packet of ramen powder into your breakfast cereal and you’ve used up two-thirds of your sodium allowance for the day, with nothing left to put on your bacon. So the question then becomes, how little ramen powder can you put on your oatmeal and still have it taste exceedingly good. And the answer is — half a teaspoon of ramen powder to one third of a cup of dried oatmeal. I tried it with a quarter, but it was, you know, bland. Half a teaspoon was just right. That’s pretty much a level measuring half-teaspoon — call it a semigenerous half-teaspoon. In this case I’m using Oriental Flavor ramen from Top Ramen, nothing exotic. Result: Very good. Another keeper. A touch of soy sauce helped. As an aside, let me say something about soy sauce. If you read the stuff written by the sushi snobs, they tell you to dip the fish part lightly into the sauce, rather than shaking it on. They are right. Most Americans seem to treat soy sauce like it was ketchup, glug, glug. It’s not ketchup. It’s a very strong flavorant in it’s own right, and if you use the least little bit too much, all your food tastes the same, like soy sauce. Much of the time, if you scoop up a spoonful of soy, then pour it back, the coating that remains on your spoon is enough. The GOP response to Buffett’s article has been interesting. He was making a policy comment. One Senator and one Representative (at least) each responded by tweeting that if he felt too rich he should send some money to the government. A spokesman for a conservative think tank said he should have talked about budget cuts as well, and claims that he misstated his tax burden. Note: that’s because the Heritage Foundation considers things like capital gains taxes as double taxation — the company pays taxes and then you pay taxes. The only real policy comment was that Buffett didn’t mention the role taxes play in investment decisions. My take on that, and I’ll admit my MA in Econ is almost a half-century old, is that tax laws might impact the structure of a deal, or the kind of investments that take place, but none of these people got to be millionaires by saying “oh, if I make too much money it will increase my taxes, I’d better stuff it under the mattress”. Warren Buffett had an interesting op-ed in the NYT yesterday. In it he talks about how the rich and super-rich are paying much less than their fair share. I thought I’d work through some of the numbers in Buffett’s article. Note that I’m going to do a certain amount of hand-waving and irresponsible rounding, and that I’m going to just use his numbers without any additional research of my own. That’s OK. These are back-of-the-calculator numbers, and are designed to just give us an idea of the order of magnitude of the numbers we are talking about. Richest 400: Following Buffett’s suggestion and simply changing the effective income tax rate back to 29% (1992) from 21% (2008) on the top 400 incomes would boost government revenues by $7 Billion. That’s just income tax (with over 20% of these richest 400 reporting no income at all). Poorest Millionaires: there’s 228,609 taxpayers (236,883 – 8,274) earning between $1 and $10 million. Let’s say averaging $5 million. Total income of about $1.1 trillion. If we bumped up their rate by eight percentage points (like for the really rich), we’d get an additional $88 billion. Well-off Millionaires: there’s 7,874 people who earn more than $10 million, but are not in the top 400 (who earn $200+ million). Let’s say they average $100 million. Bumping their effective income tax rate by eight percentage points brings in another $60 billion. So, by moving effective income tax rates back to where they were during the G.H.W. Bush years, we’d pick up a total of over $150 billion. And we haven’t touched capital gains (where most of them hide most of their money). Interestingly enough, $150 billion for ten years = $1.5 trillion, or exactly what the deficit commission is tasked with achieving. As I said, there’s not a lot of rigor in these numbers, and I wouldn’t be surprised if a more detailed analysis cut the number down to $100 billion a year. The point is, by simply going back to taxation levels that were acceptable to people like Ronald Reagan and George Bush senior, we could put a major dent in our problems. These are not new taxes, they are a reversion to older tax rates. Thanks, Warren. In honor of my 200th post, let me revisit the curried oatmeal meme. I started the oatmeal series by adding plain old curry powder to oatmeal. That didn’t work very well, because the two flavors never blended. You had the curry/onion/garlic flavor (mostly curry), and the oatmeal flavor (needs salt). Part of that might have been that I used instant oatmeal, and part of it might be that curry powder wasn’t the right approach. Adding more jam helped. …is the literal translation of Tsukimi (月見). I originally thought it was also the basis for one of the character names in Kanon — Tsukimiya Ayu — but her name (月宮) translates as ‘Moon Palace‘. Moon viewing is the autumnal equvalent of the springtime Hanami ceremony, the viewing of cherry blossoms by moonlight, only there are no special floral arrangements, other than pampas grass (and no, pumpkins don’t count). The full moon is celebrated on the 15th of August (actually, this year it is full on the 13th), people wear Yukatas, and special moon-shaped foods, like dango are served. There are many varieties of dango. You’d think that a company as big and as dedicated to the online world as amazon.com could avoid doing dumb things with the design of their user interface. Turn’s out, that’s not true. Don’t get me wrong. I think Amazon does a great job of user interface design, mostly. It’s just that their latest adventure, revamping their shopping and wish lists, has turned seriously pear-shaped. 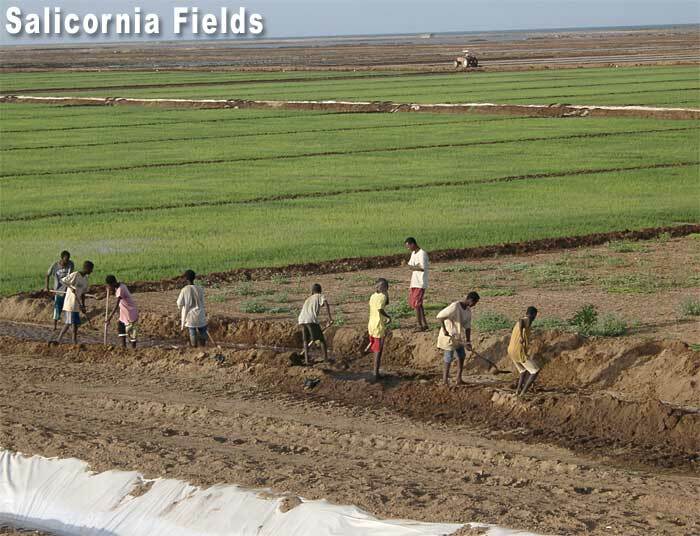 In 1999, the Seawater Foundation, under the direction of Carl Hodges, started a project called SeaFarms-Eritrea, designed to demonstrate multi-crop sea farming at a coastal site just north of Massawa (vicinity 15.66N/39.46E), just north of the Gurgusum Beach Resort (the best way to find it on Google Earth). The idea was to grow shrimp and tilapia in sea water, and feed the effluents to mangrove wetlands, as well as to a salt-loving plant called salicornia, which in turn would be either fed to flocks, or turned into biofuel. The website also known as Fark.com is a lighthearted news concentrator that specializes in funny link headlines. Often the links are to incidents involving the phrase hold my beer and watch this. Other times, the headline is a humorous alternative worthy of The Onion. Yesterday, there was a link to a New York Times table showing Standard & Poore’s Sovereign Risk credit ratings for various countries. This was, of course, triggered by S&P’s downgrading of US government credit from its historical AAA stable to AA+ with a negative outlook. That means we are on our way to joining the Slovak Republic as someone you’d want to loan money to. The reason given was an entirely valid concern that the way we approach politics these days makes a future could-if-they-would-but-they-won’t default a real possibility. What prompted this post was the Fark headline, which noted that the only countries now holding a AAA rating are ones which also have socialized medicine systems. This blog doesn’t get a lot of views. The most active posts seem to be my HOTD entries, via searches on things like fanservice, which says something about the demographic I attract, I guess. Just now (according to WP emails), my entry on the end of the shuttle era got three ‘likes’, with no comments, all from people with French-sounding names like ‘tempestelandry’, and all sent at the same second, ostensibly from the Seattle area. The thing is, nobody’s looked at that entry for two weeks, and I’m pretty sure I know who’s responsible for all of the hits. Presumably this is some sort of automated spam/link-spam ploy, the mechanism of which escapes me. The three names have gravitars, but no gravitar profiles, and no WP presence that I can find. Ah, the Internet. It’s never boring.